Gopalasamudram Narayana Ramachandran was an Indian Physicist, who is known for his Ramachandran Plot. He was born on 8th October, 1922 and he died on 7th April, 2001. Many Physicists get inspired by him and his works. Here is an article which is dedicated to him. You will find everything about, where he comes from and the project he was famous for. He was a genius and his name has gone down in history. Gopalasamudram Narayana Ramachandran belonged to Kerala and he was born in Ernakulam. He came from a Tamil-speaking family. He completed his BSc. Honours from St. Joseph’s College in Tiruchirapalli in the year 1939. Later he joined the Indian Institute of Science in Bangalore. He had a deep interest in Physics and so, he shifted his focus and completed his Master’s and doctoral degree in the same. He completed his doctoral and Master’s degree from Madras University. He studied crystal optics and crystal physics. While he was studying, he created an interesting X-RAY mirror. He spent two years in Cambridge in the Cavendish Laboratory. He earned his PhD from there. After his wife died, he was deeply saddened. He started falling ill after his wife left the world. This shows that he was attached with his wife and felt lonely after she left. She died in the year 1998 and G. N. Ramachandran died in the year 2001. He missed his wife a lot when she left. He suffered from stroke and Parkinson’s disease. He died at the age of 78. He left many scientific discoveries behind and many Physicists considered his works brilliant. Many scientists felt that he had the calibre for getting Nobel Prize as well. Once he completed his PhD, he came back as the Professor of Physics at the Indian Institute of Science in Bangalore in the year 1949. In the year 1952, he went to Madras University as the professor. Gopalasamudram became the Head of the Department of Physics and he continued to study Crystal Physics. He started to gain interest in the biological macromolecules. 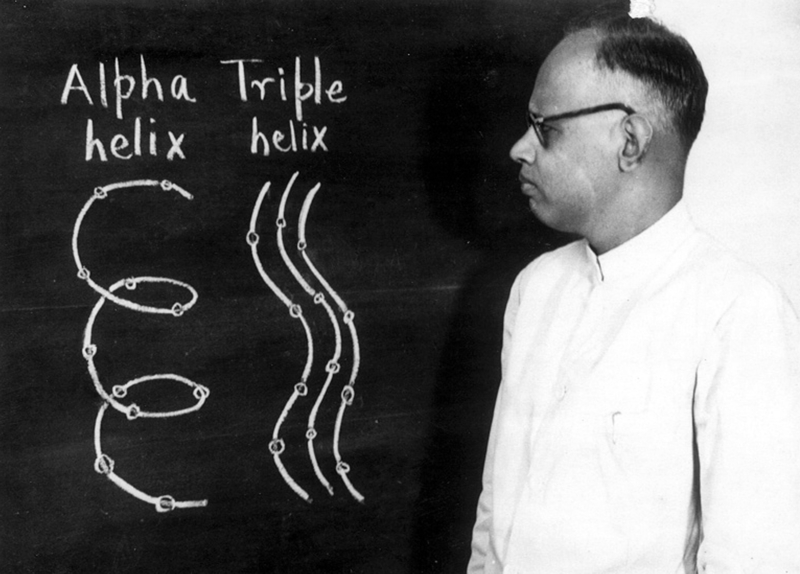 His creation of the Ramachandran Plot to study peptide structure was the most famous work of his. 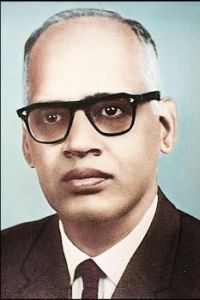 The plot was conceived along with Viswanathan Sasisekharan. Did you know that he was the first ever scientist, who suggested the triple helical model of the collagen structure. 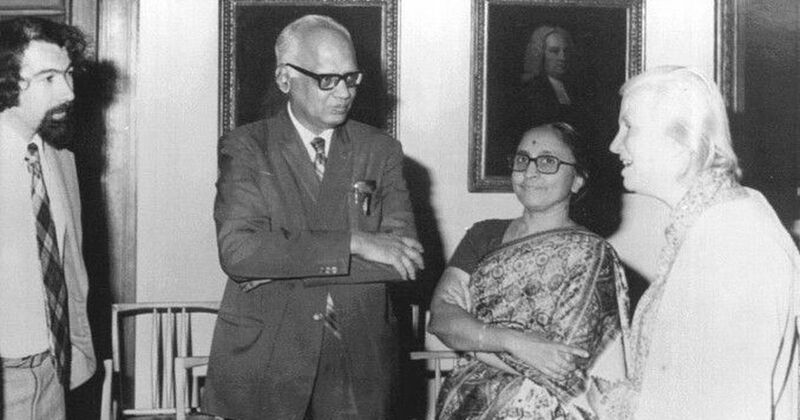 Shanti Swarup Bhatnagar Award, 1961 – For Contribution to the field of Physics. Fellowship of the Royal Society of London. Ewald Prize for his contribution to crystal physics. He is included in the list of best Scientists and he has truly inspired many budding Physicists. He was G.N.R. for those, who knew him very well. He had the opportunity to work outside but he was inspired by his mentor, C.V. Raman and decided to work in India. He was a brilliant scientist of the 20th century. He left the world on July 4th, 2001 and he left us speechless with his works. He made the country proud and his works are an inspiration for all the Physicists around the world. He shall be remembered in the field of Physics forever.